The Washington Wizards started their summer league off with a dud, suffering a 102-82 loss to the Atlanta Hawks on Friday afternoon in Las Vegas. The more experienced Wizards were never even close to the Hawks, and gave up over 100 points in a game that was 8 minutes shorter than a typical NBA game. The Wizards new draft picks Bradley Beal and Tomas Satoransky joined forces with Shelvin Mack, Chris Singleton, and Jan Vesely to take on an Atlanta squad that featured no players from their 2011-12 roster. Bradley Beal led the Wizards with 22 points and Chris Singleton put in another 20 despite turning the ball over 5 times (and here is Chris getting dunked on). Overall the Wizards had 19 turnovers and only 13 assists in a Jordan Crawford style one on one offensive showing. The highlight for the Wizards was the play of Beal who shot 6-14 from the field and hit 9-10 free throws (1-3 from 3). 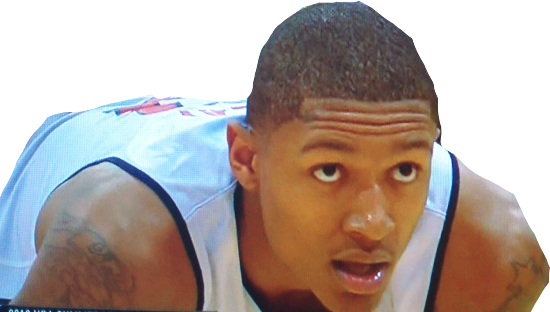 Beal looked the most NBA ready on the court, outplaying even the experience Wizards players. Jan Vesely displayed his new and improved jump shot in the contest going 5-9 on the day with 11 points, 3 missed dunks (2 he was fouled on), and 10 fouls. No, that is not a misprint. Jan Vesely fouled out of a 40 minute game where they allowed players to have 10 fouls. The Wizards fouled the Hawks 33 times, and almost 1/3 were Jan.
Tomas Satoransky made his American debut (after almost not even showing up) and looked shaky to say the least. In one quick span, Satoransky turned the ball over followed by a play where he picked up his dribble early and turned the ball over again. The Czech draftee finished the game with 4 points in 15 minutes running the point. No left hand. The Hawks were led by Vanderbilt rookie John Jenkins who went 4-5 from 3 point range and scored 19 points.